When the weather is cold and miserable in London, sometimes there’s nothing better than a hot, spicy stew to warm everything up. 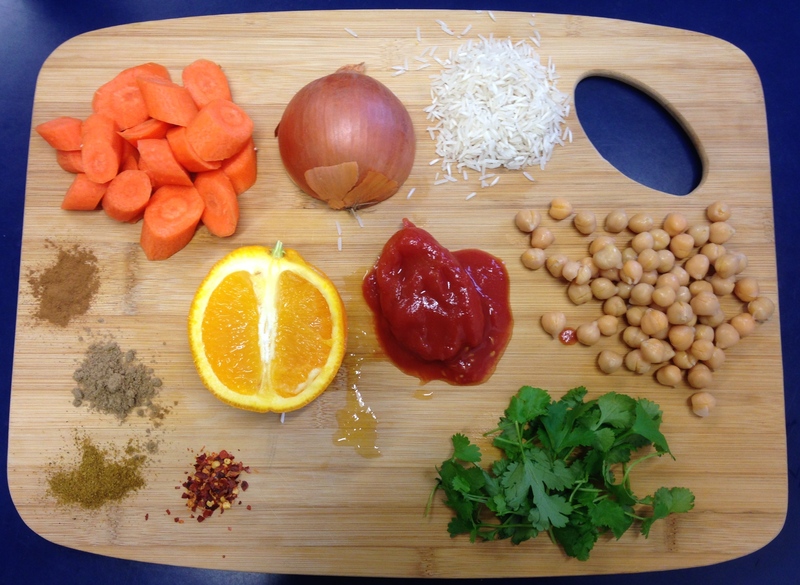 This one is inspired by Moroccan tagines, using a sweet and spicy tomato sauce and filling chickpeas and carrots, served with a fresh, orange rice. This recipe does take a little longer to cook, but the flavour you get from the extra cooking time is worth it, honestly! 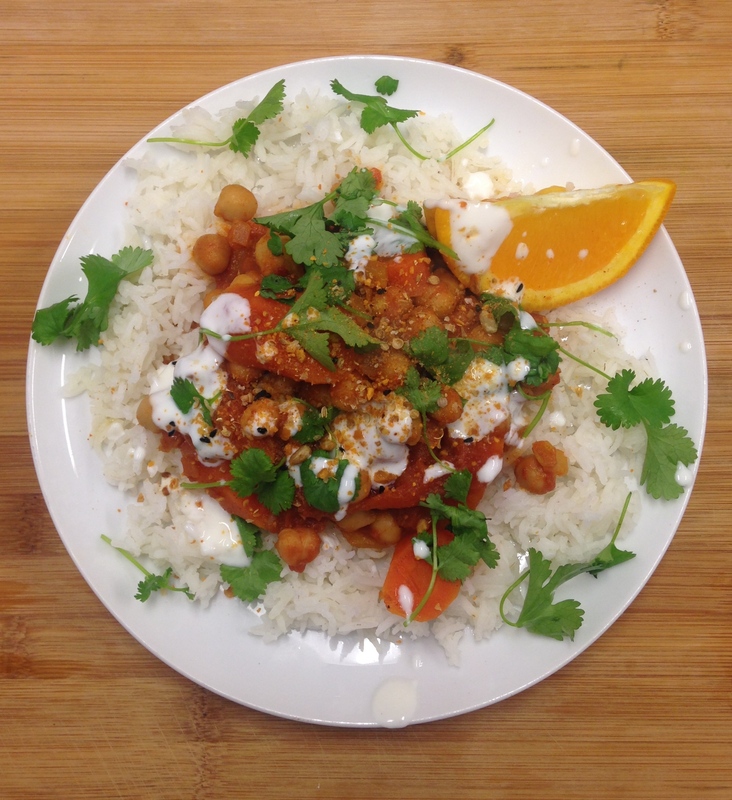 I feel that this dish also reminds me a little of summer as I’ve served it with fresh coriander and natural yoghurt (as it is a quite spicy), which is a lovely escape when it’s pouring down outside. The quantities for this meal would serve four people with additional pitta bread or naan, plus another half mug of rice, or three portions for one person (this is what I do, it saves cooking on a busy day). First off, peel the carrots and chop them into bite sized discs, then finely chop your onion and garlic. Then put a large frying pan or pot on a medium heat with about a tablespoon of olive oil. Once the oil is hot, add the onion and garlic and fry for about 5 minutes until quite soft. Then add the cinnamon, garam masala and chillies, and fry with the onion for another 5-10 minutes to form a really nice flavour base. Once the onion and spices have cooked together, add the plum tomatoes straight from the can and mush them up a little with the back of a wooden spoon. 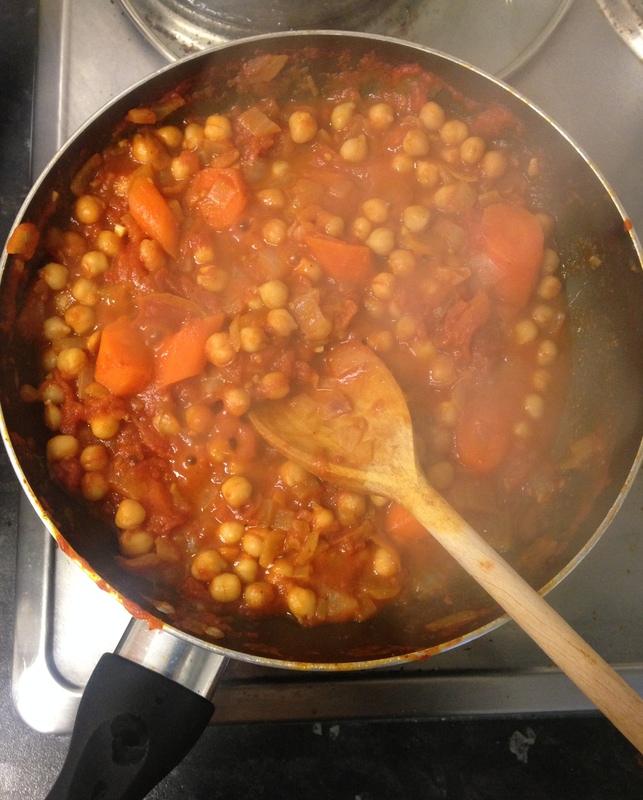 Then add the chickpeas and carrot and stir a few times. Don’t throw away the empty can of tomatoes, as now you can fill it up with tap water and put this into the pan as a sort of tomato stock so as not to waste the juices left in the tin. Add salt and pepper to taste. Now leave to simmer on a low to medium heat for around 35 minutes with a lid on, or until the carrots are soft and the sauce has thickened. While your tagine is cooking, put the rice on to boil by measuring out a mug of rice, followed by two mugs of water and chuck it all in a small saucepan with the lid on and on a medium heat. 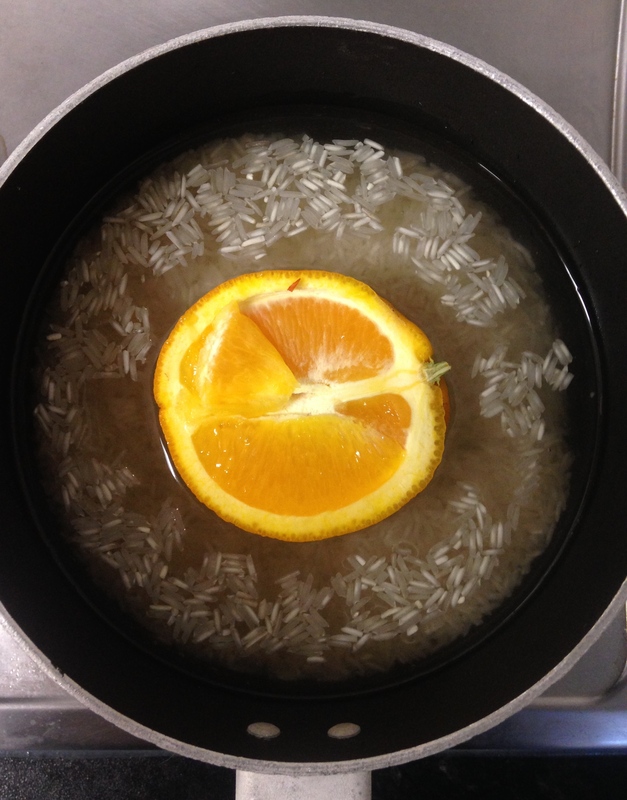 Also don’t forget to add half an orange to the rice and water and keep the lid on throughout, as this is what creates the fresh, orangey flavour. Keep checking the rice by tipping the saucepan slightly, when no water is showing when the pan is tipped, your rice is cooked! To serve, pile up your rice and add the tagine over the top and sprinkle with fresh coriander, natural yoghurt and add a slice of orange to squeeze over your rice. If you’re cooking to impress, serve with pittas, flatbreads or naan and a crunchy lettuce and radish salad.